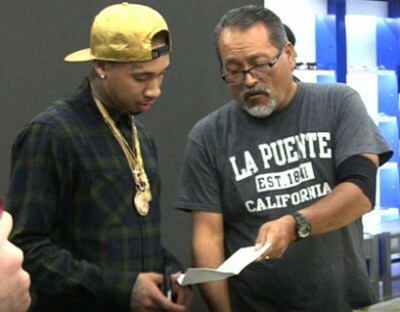 Tyga got served with legal papers while promoting his new sneakers for L.A. Gear at Shiekh Shoes in Hollywood. 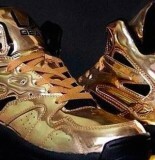 The rapper was unveiling his new gold kicks Tuesday night when a process server handed him a summons. The man waited in line for over 2 hours while laying in wait for the perfect time to serve the papers. Perfect for him, for Tyga, not so much.. The process server wouldn’t get into what the papers were for, just saying that apparently Tyga owes someone money. So Did Selena Gomez Have A Secret Baby?